This post is sponsored by Basic Invite. As always, all opinions are my own. One of my favorite things about the holiday season is Christmas cards. I love getting them in the mail from all our friends and family and seeing all of their cute family photos. With all the hustle and bustle that the holiday season brings, I know it can be demotivating to add yet another thing to your Christmas to-do list, but since we've had kids it's something I try to prioritize every year. Since our Christmas cards feature our family photos, it's like a memento I can look back on for each year. I actually plan on starting an album just for our Christmas cards so we can see just how much the kids have grown each year. And while I definitely want a high-quality card that I can look back on in 20 years, I also don't want to pay a small fortune for it. Stationary can be so expensive and it's not something I want to pay a ton of money for, especially with all the other expenses during the holiday season. That's why I was thrilled to discover Basic Invite. 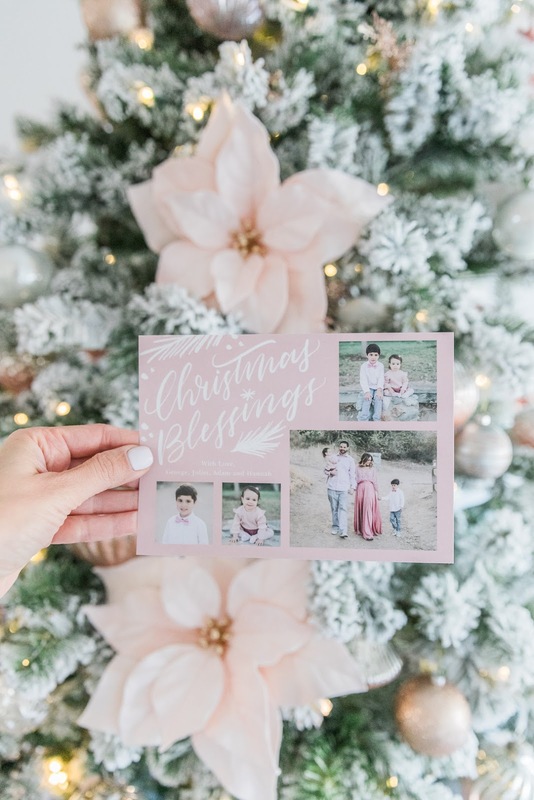 They have a wide assortment of cheap holiday photo cards, without compromising on quality. I've used other companies in the past for our Christmas cards and found that there were so many things that set Basic Invite apart. First, you have almost unlimited color options for each card design. 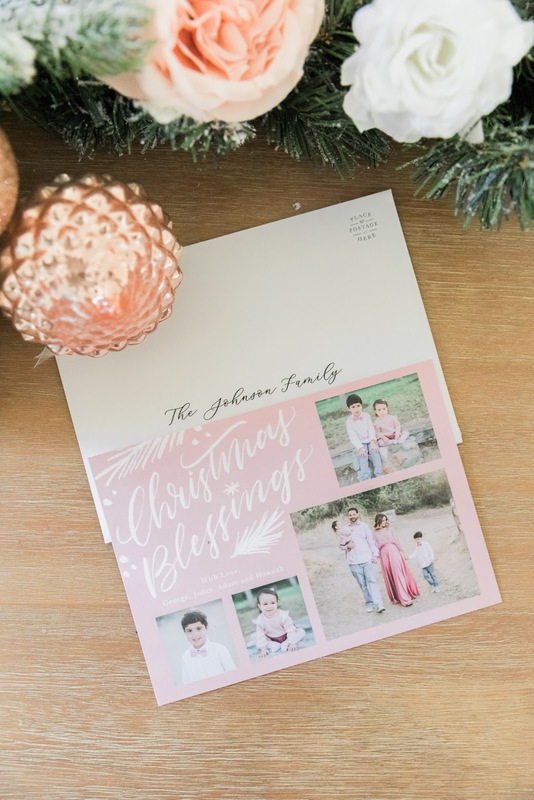 For me, this is HUGE because when picking out a card design, I look for one that compliments the colors in our family photos. So it's always disheartening when I come across a design I love, but find that the colors just clash with our family photo. But I didn't have to worry about that when I was browsing all the deluxe Christmas card designs on Basic Invite's site. Knowing that I can change the color of each element on the card, down to the smallest detail, was a game changer and allows you to create a truly customized card. The next perk to Basic Invite is that you can actually order a custom sample to see exactly how your card will look before you place your actual order. I know a lot of online sites will allow you to see an online preview, but with that you obviously can't feel the quality of the paper. So with this option, you know exactly what you're going to get before you place your order. Finally, one of the coolest features Basic Invite offers is their address capturing service. You know how you'll usually spend some time texting people for their addresses and manually inputting them into some type of document? Well, you don't have to do that with Basic Invite. All you have to do is share a link on social media requesting your friends and families' addresses. From there, it will be stored into your Basic Invite account and you can then select the addresses during the design process. 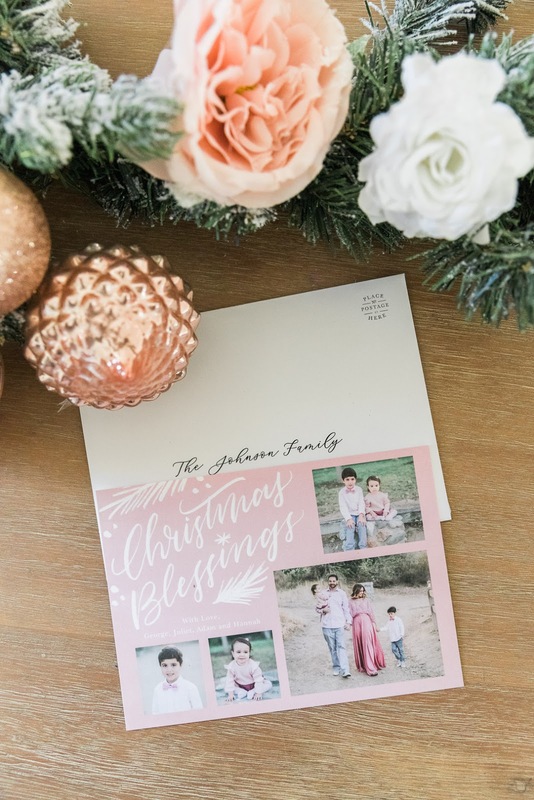 Basic Invite also offers recipient address printing at no additional cost on all Christmas card orders. 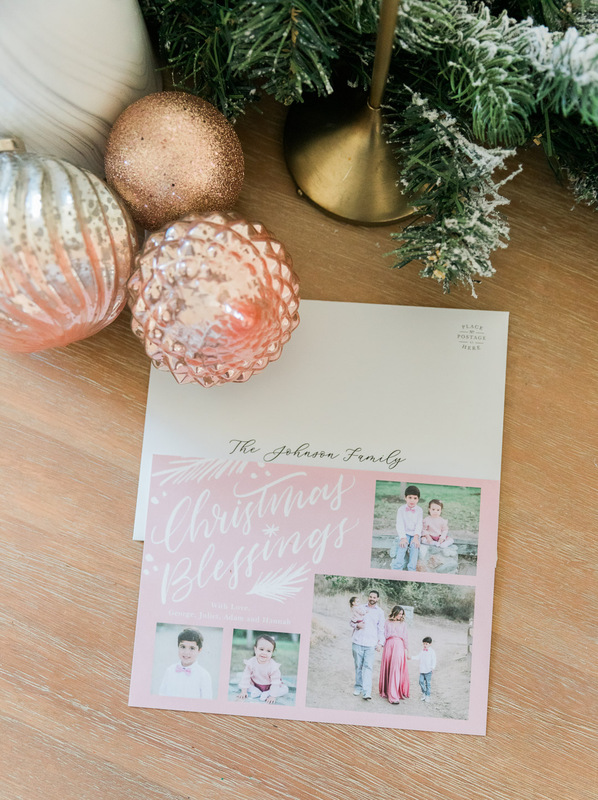 That seriously makes sending out your holiday cards so much more convenient! Right now, Basic Invite has a coupon for 30% off your order with code holi30. 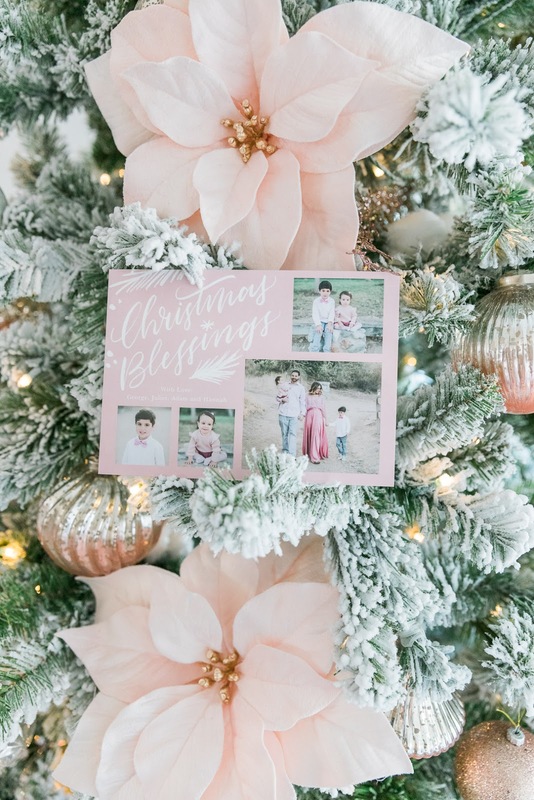 If Christmas cards aren't really your thing but you're planning a party, they also have a ton of beautiful holiday party invites. And I hope you enjoy the whole design selection process as much as I did!